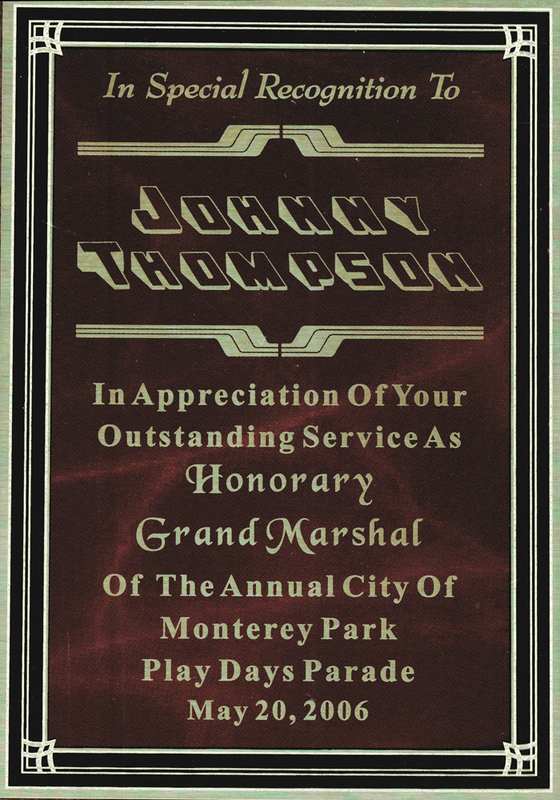 As part of the city's Annual Birthday Celebration, Play Days is four days of rides, music and entertainment. 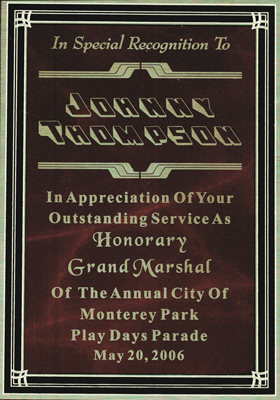 This album consists of a parade going down Garvey Avenue that features local high school bands as well as the Grand Marshall. 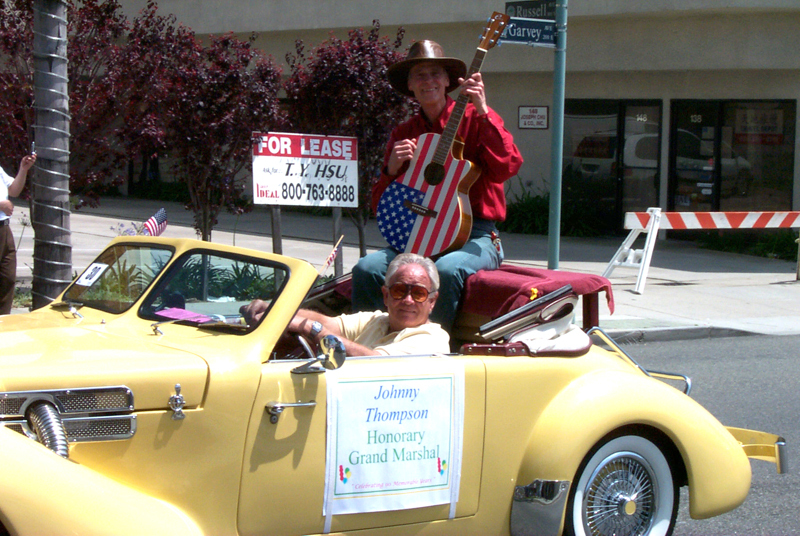 Johnny Thompson honored for community service pictured as Honorary Grand Marshall. 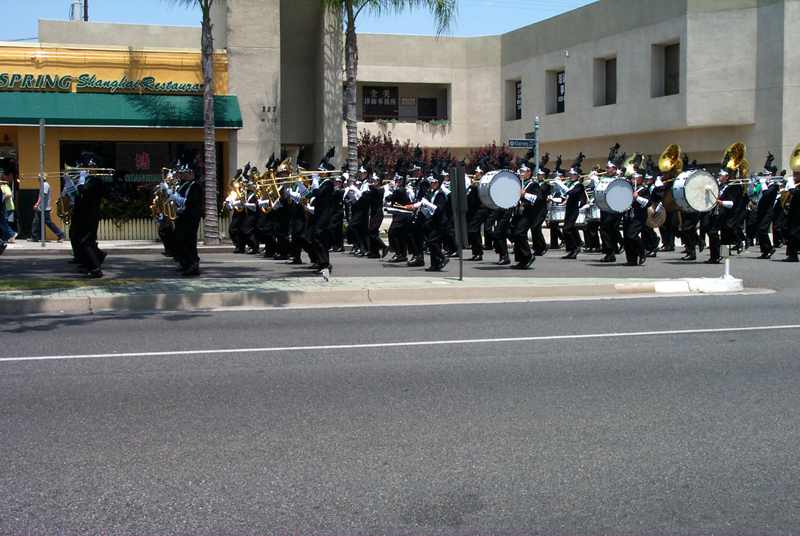 Award winning Shurr High School marching band is one of the many schools in the region supported by JTM. Other districts are: Alhambra USD, Montebello USD, San Gabriel USD, Temple City USD, Rosemead USD, San Marino USD, South Pasadena USD, El Monte City USD, Mountain View USD, South El Monte USD, Eastern LA USD.